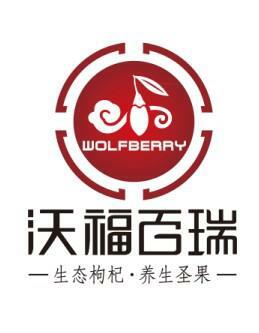 Wolfberry Company is the birthplace of high quality certified top grade Organic Goji Berry, is the only company planting organic Goji. Now we have more than 75 hundred acres of Goji planting Base, which are under organic planting standard, without using chemical pesticide and fertilizer. Their production mode is ecological, natural and safe. 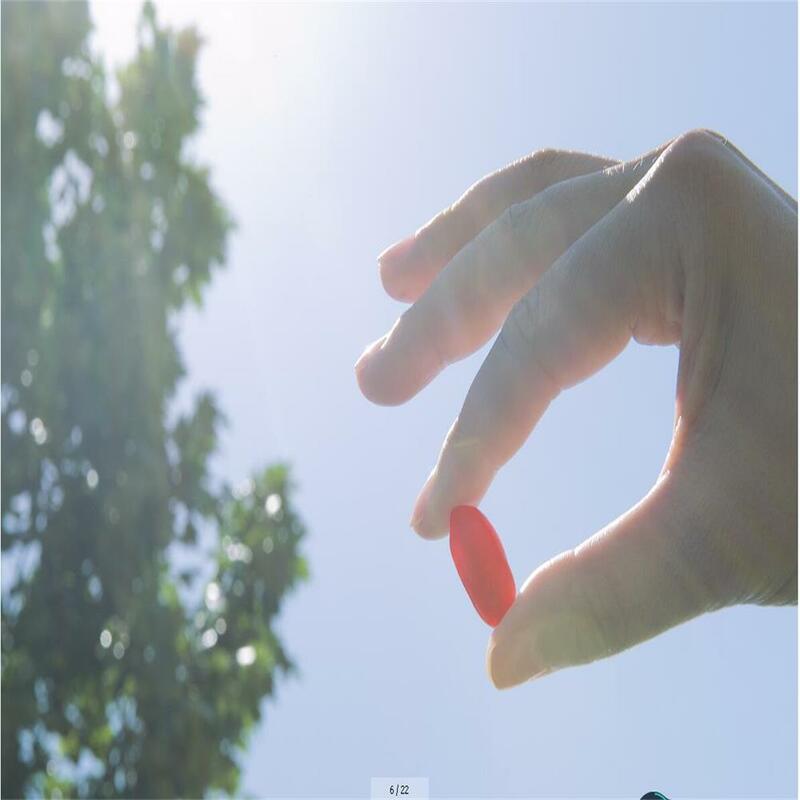 Products reach the North America, European Union and Japanese level including requirements in pesticide residue, chemical substances residue, residue of veterinary drug, which guarantee the quality from production source. 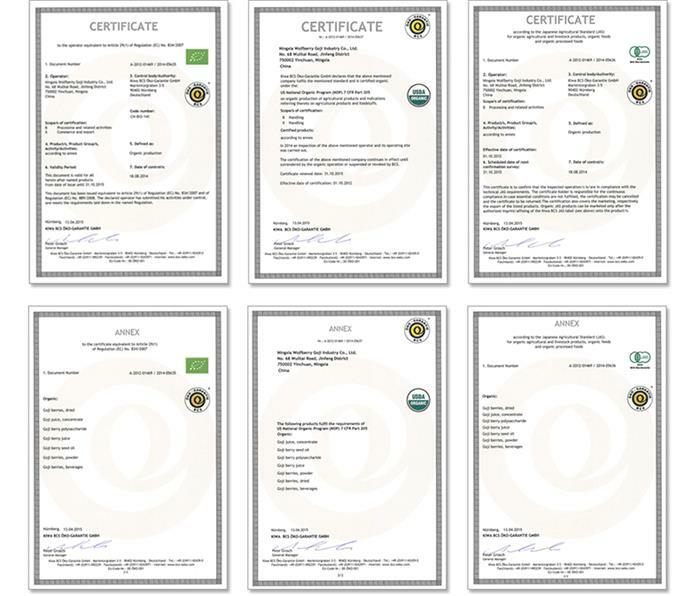 Our base and plant have internationally/nationally recognized organic food certifications such as NOP, EU and JAS. 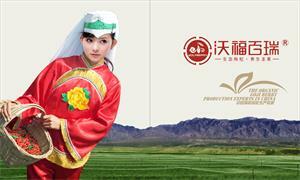 Our technological innovation team led by Professor brings Goji industry further in line with international standards. 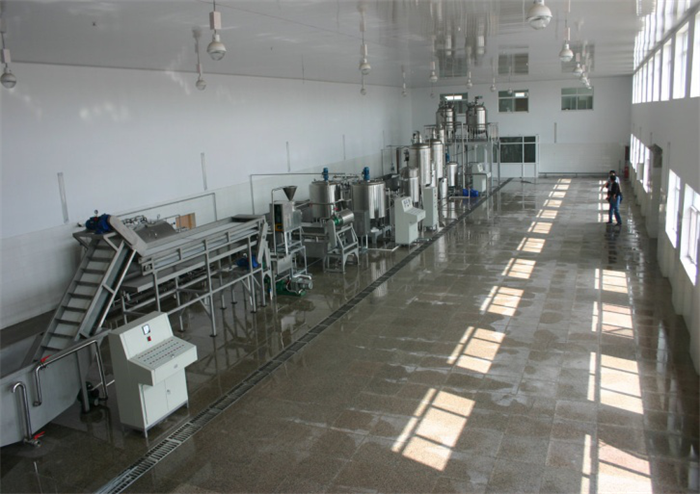 With the combining mode of industry, academia and research, our company established Goji technological center of Ningxia. There are 19 technological experts, including 12 senior title staff, 2 Doctors and 4 Masters. This team gathers many fields professionals such as Goji further processing, food engineering, automatic control and food analysis and verification, and make great contribution in defining enterprises standard, industrialization demonstration, cultivation of Goji further processing enterprise, organic Goji manufacturing practices and reaching international standard. 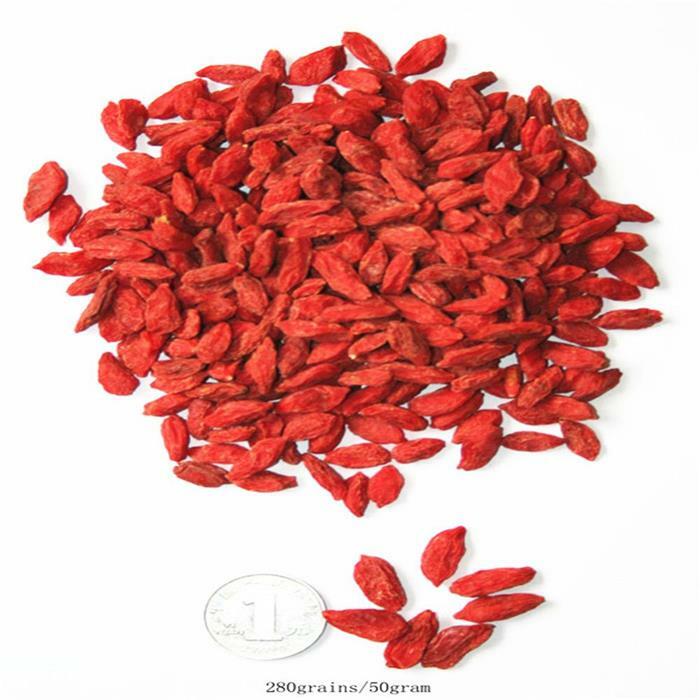 Looking for ideal Organic Goji Berry Manufacturer & supplier ? We have a wide selection at great prices to help you get creative. 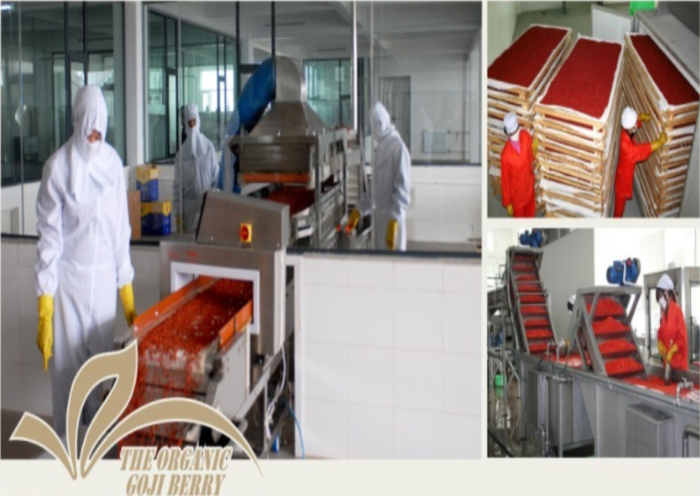 All the Top Grade Organic Goji Berry are quality guaranteed. 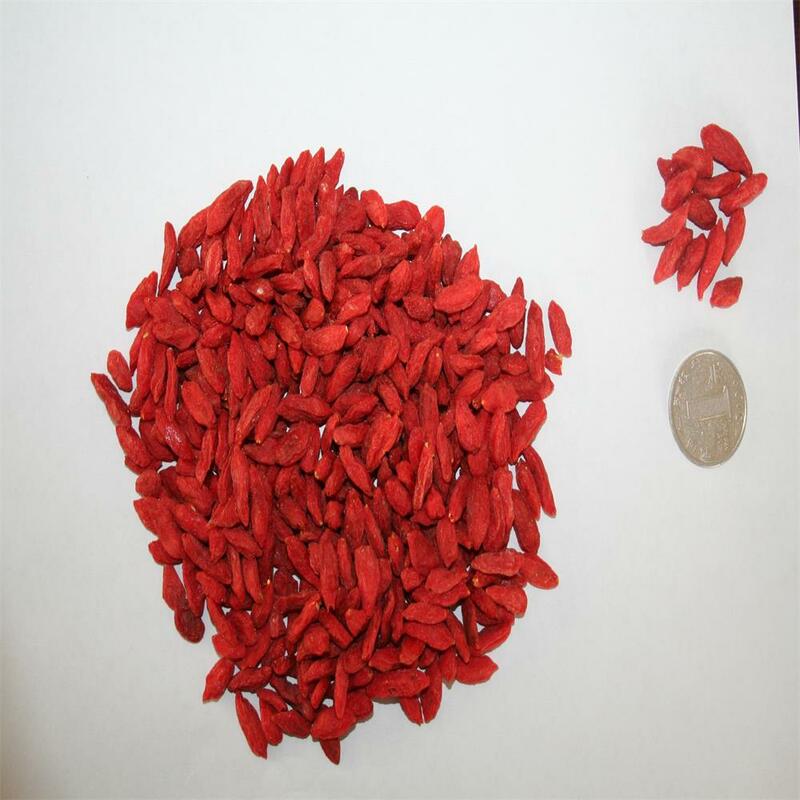 We are China Origin Factory of Certified Top Grade Organic Goji Berry. If you have any question, please feel free to contact us.